We were so happily surprised to see “in a blink” the changes that have slowly developed over our seventeen years here at Indigo Street Studio. 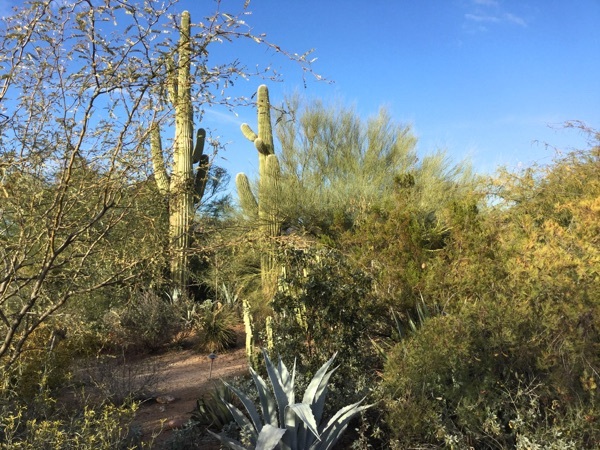 The palm tree, alas, is no longer, but it astonished us to see how much the saguaros have grown! 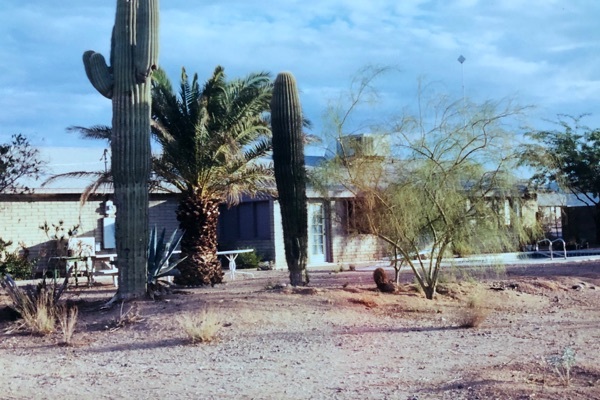 We had forgotten that the saguaro on the right had no arms when we first moved in. Palo verde trees, creosote shrubs, agaves, and yuccas have all become well established, nearly obscuring the house from this area. 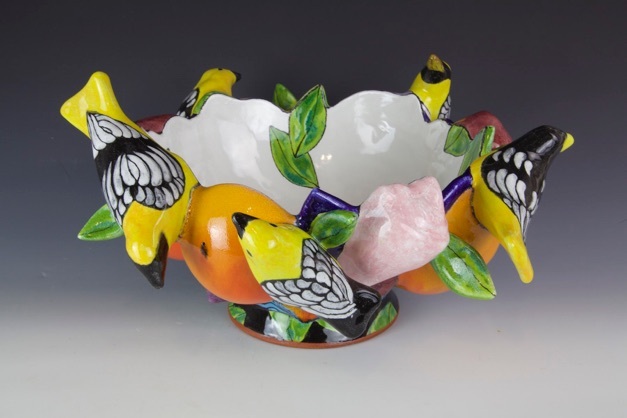 Farraday Newsome will have this piece, Dark Blue Bowl with Oranges, Birds, and Shells, glazed terra cotta, 8.5”h x 16” x 16”, 2017, in the upcoming nationally juried 40th Annual Contemporary Crafts exhibition at the Mesa Contemporary Arts Museum in Mesa, Arizona. This year’s show was juried by Luiza deCamargo, Associate Curator at the Society of Arts and Crafts. 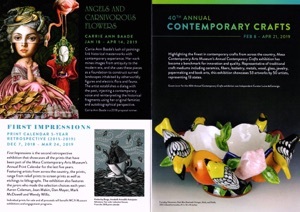 There will be fifty-three pieces by fifty selected artists. We recently came across photos of our home and yard here in Mesa, Arizona that we’d taken in November of 2002, just two months after we’d moved in. Here’s one of the older photos taken in the backyard paired below with one taken this week from the same area. January and February are the best months to get wet clay work going here in the Sonoran desert. Once spring hits, things only get hotter and dryer. Clay work goes best when in-progress pieces stay moist while one is working on them, rather than starting to dry out too soon. 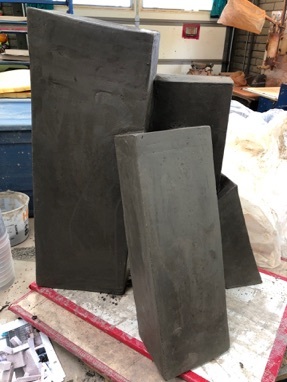 Jeff Reich has begun a large sculpture commission. 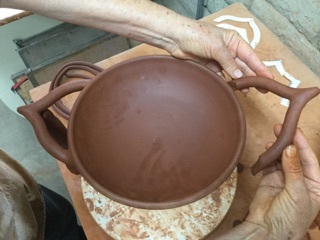 The clay is high-fire stoneware that fires to black-brown. In this early stage he is making hollow forms from slabs. 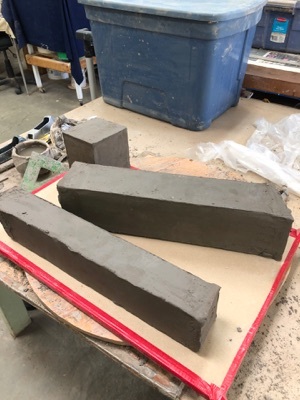 These will become components of the sculpture. 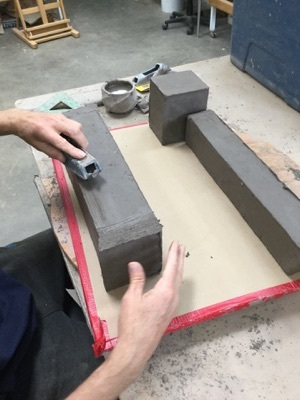 Using a Sur-form rasp blade, he is paring the edges of each section to a sharper finish. After the rasping, he’ll rib the roughened surfaces to a smooth texture. Several of the larger sections have been joined to form the base. Jeff constructs his sculptures on drywall, lets them dry on the drywall, loads them into the kiln on the drywall, and fires them on the drywall. Farraday Newsome is working on a variety of forms this winter. 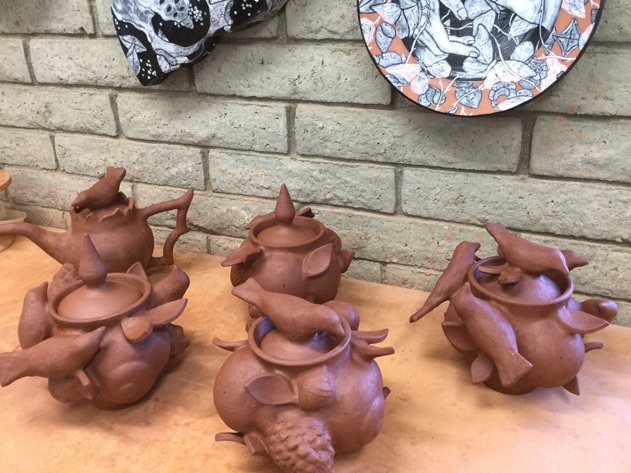 These lidded jars and teapot in the rear are made of her usual red terra cotta clay. These pieces were thrown on a wheel. The hollow, natural forms are hand-built from original press molds and attached at the leather-hard stage. 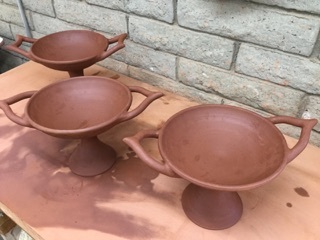 Farraday is also making several high-footed, shallow bowls inspired by the kylix form of ancient Greek wine drinking cups. 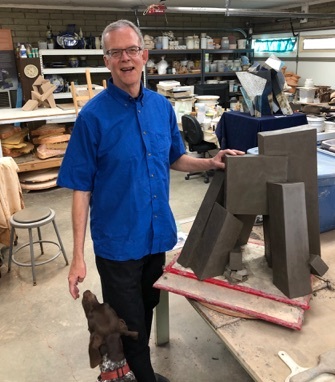 Jeff with his sculpture in-progress and our dog Skye. 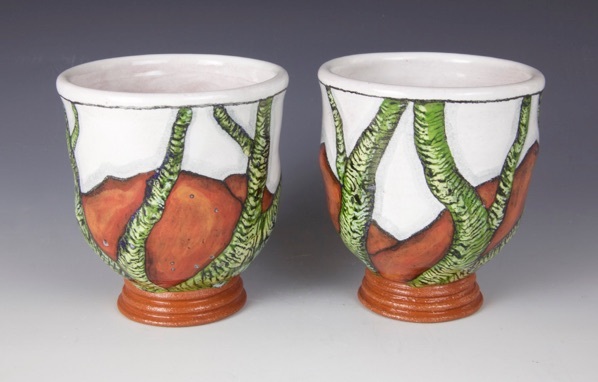 Farraday Newsome will have this pair of cups in the upcoming nationally juried exhibition MWSU Clay Guild: Twin Cups 2019 at Western Missouri State University Potter Fine Arts Gallery. 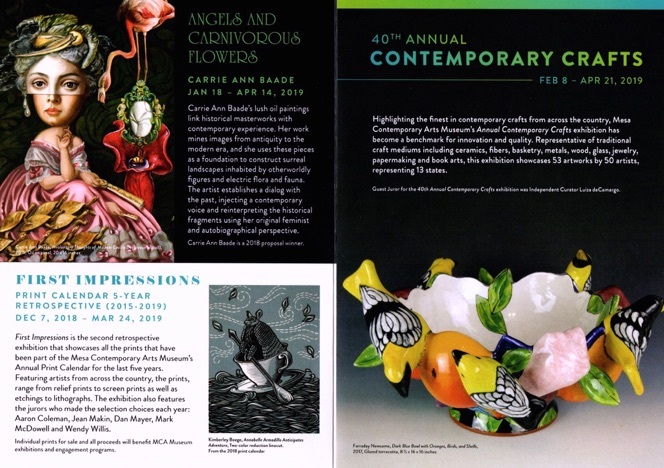 https://www.missouriwestern.edu/art/art-gallery/. The show was organized by the MWSU Clay Guild.